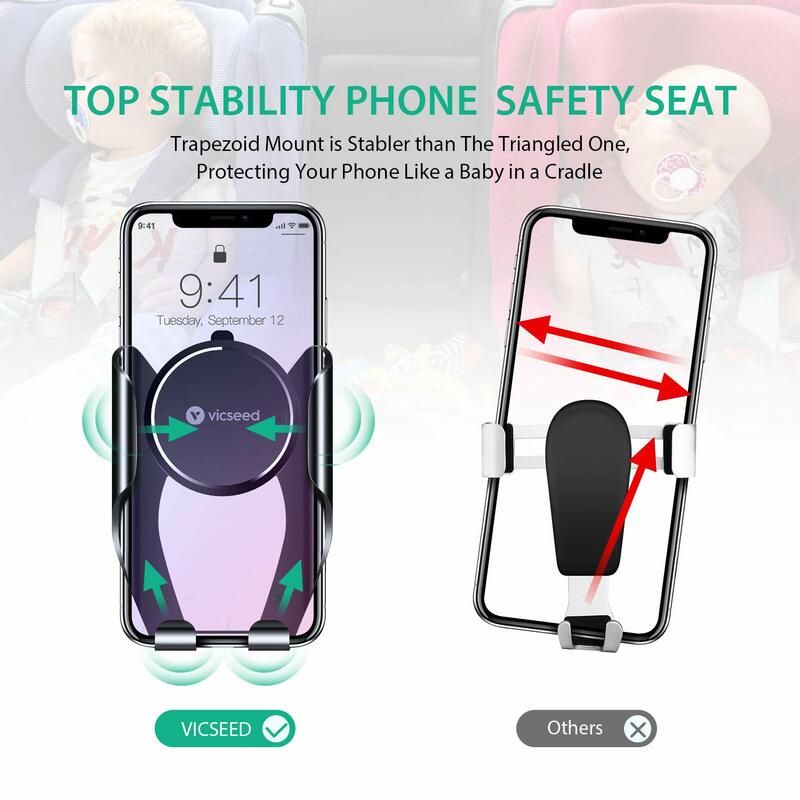 Cell Phones & Accessories ⇒ VICSEED Car Phone Mount, Air Vent Phone Holder for Car, Handsfree Cell Phone Car Mount Compatible iPhone XR Xs Max Xs X 8 7 6 Plus, Compatible Samsung Galaxy S9 S8 S7 LG Google etc. 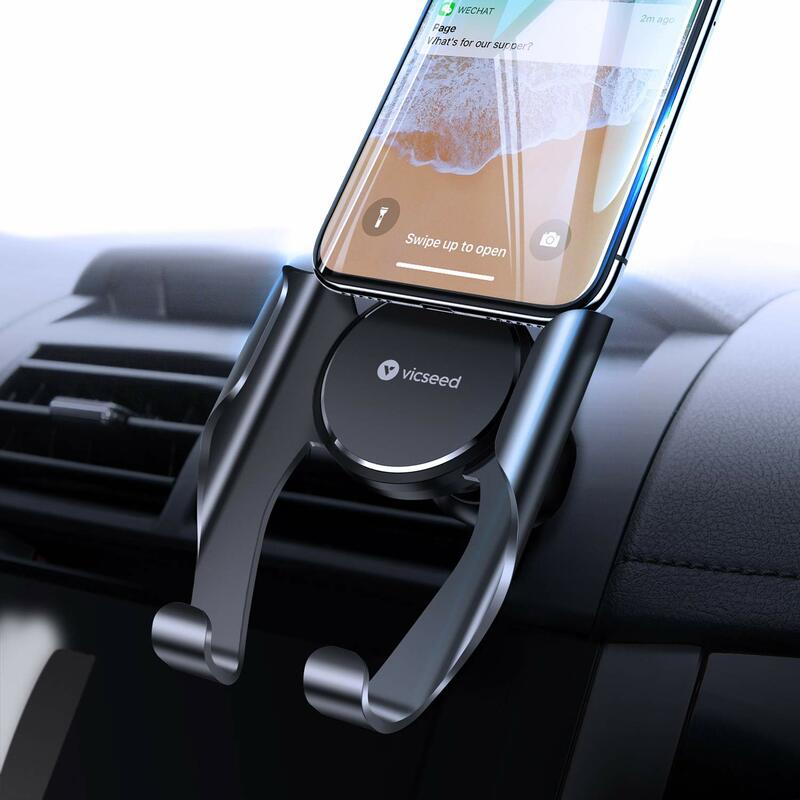 VICSEED Car Phone Mount, Air Vent Phone Holder for Car, Handsfree Cell Phone Car Mount Compatible iPhone XR Xs Max Xs X 8 7 6 Plus, Compatible Samsung Galaxy S9 S8 S7 LG Google etc. 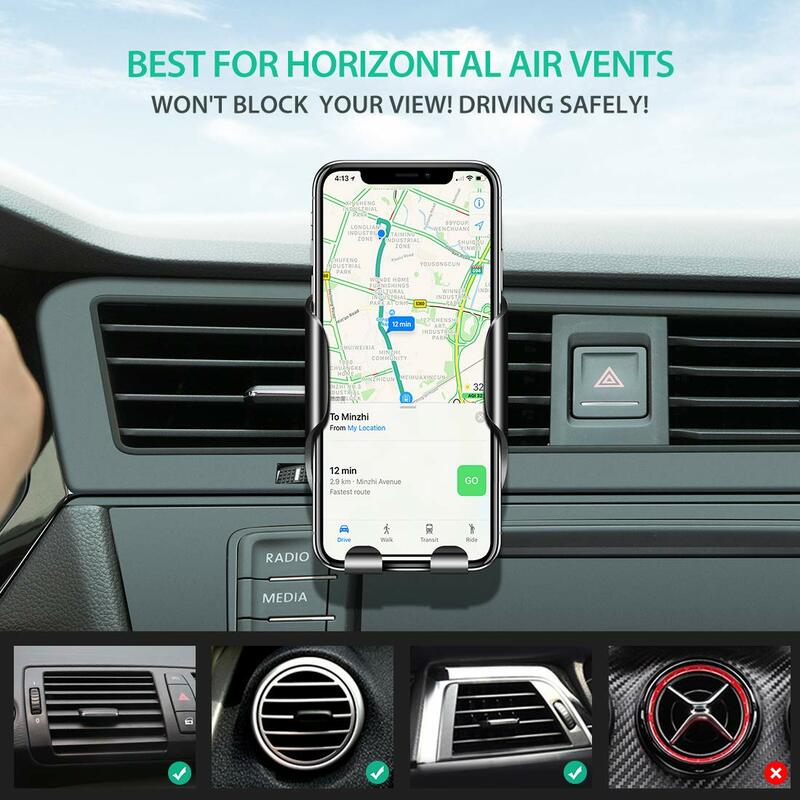 VICSEED Air Vent Phone Holder for Car - The most secure type of car phone mount. BEST IN CLASS STABILITY- Four sides protection, maintaining a stable viewing angle, avoiding frequent tilt. REVOLUTIONARY CONVENIENT - One touch release, one hand operation, one second to place! 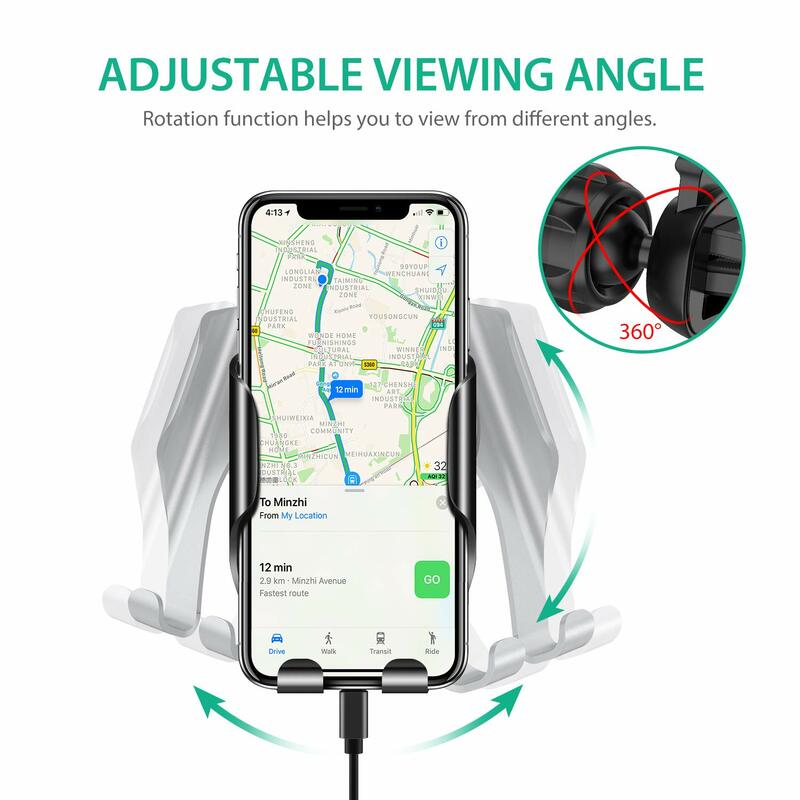 ROTATION FUNCTION - Provides perfect screen view angle to see the phone screen clearly and ensure drive safely. OPTIONAL VENT CLIPS - Fit for most type of car air vents, thick silicone pads to prevent your love car vents from Scratches. 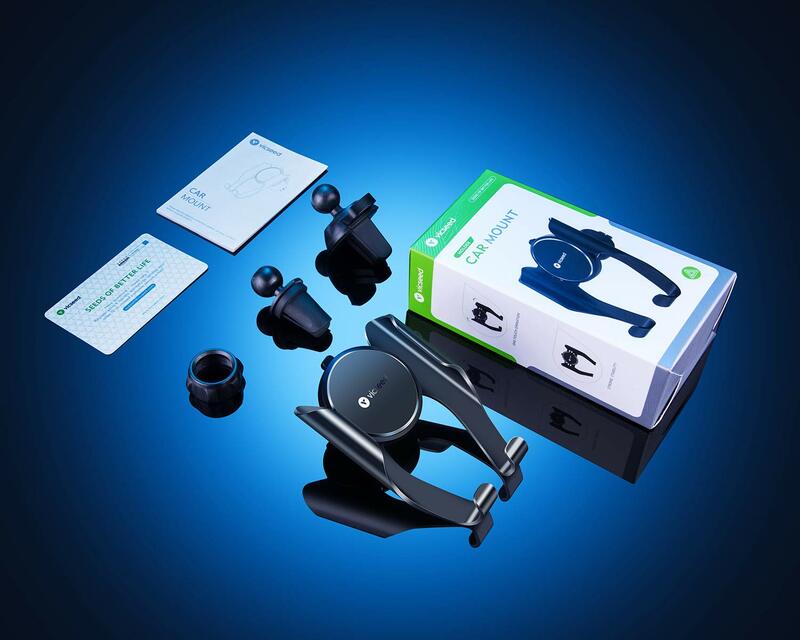 UNMATCHED PORTABILITY - Lightweight and Durable.Transforms into a desk stand, a cable winder or a key hanger in an instant! This car cell phone mount has a spring loaded sides that can hug different phone sizes simply by squeezing it. Google Pixel MOTO Nexus Sony Nokia Huawei GPS Devices etc. 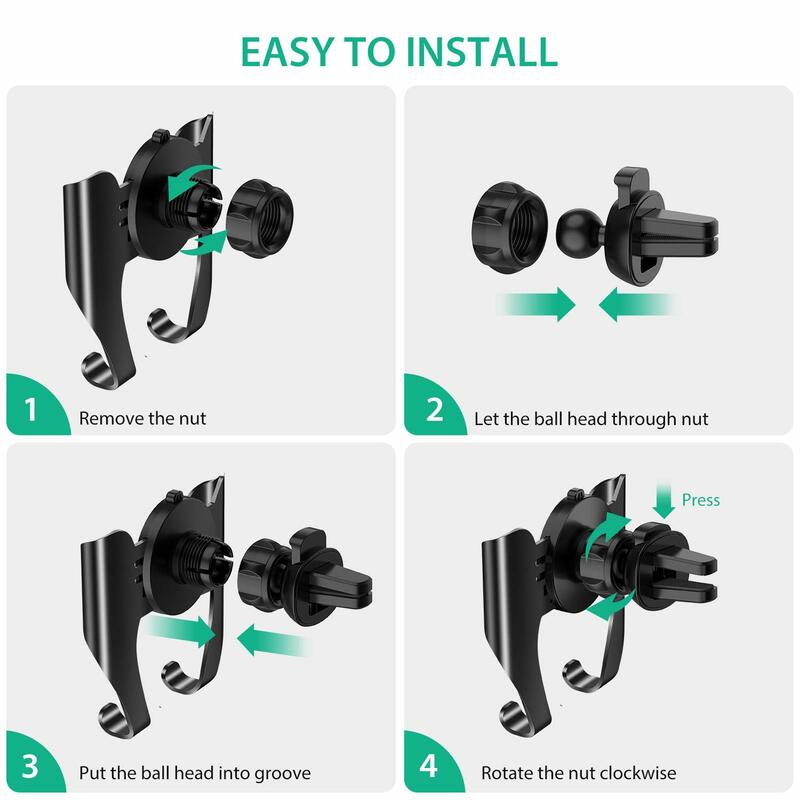 Turn the threaded nut until it is tight enough to hold up heavy phones well. 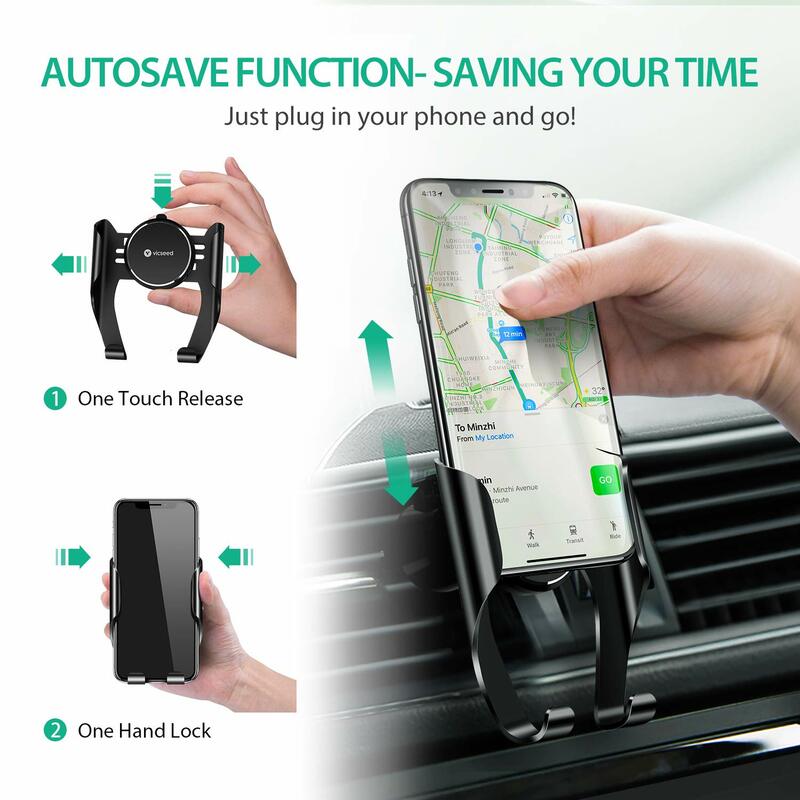 We recommend using this car holder for cell phone with TORRAS Phone case. 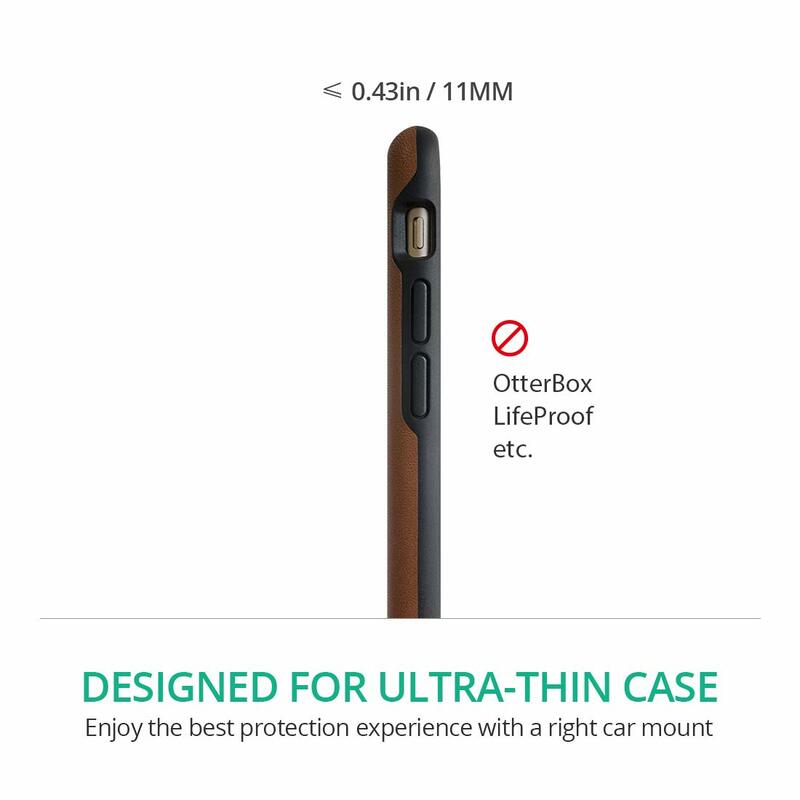 ✘NOT Suited For: Thick cases such as OtterBox and Wallet Case.